Precision Engineering AG has produced a new alloy for hairsprings that it claims will increase reliability, accuracy and power reserve times for the movements that use it. 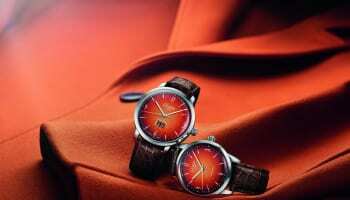 The company’s partner H. Moser & Cie will be the first watch company to use the PE5000 alloy in a timepiece. PE5000 is described as shock resistant and paramagnetic. 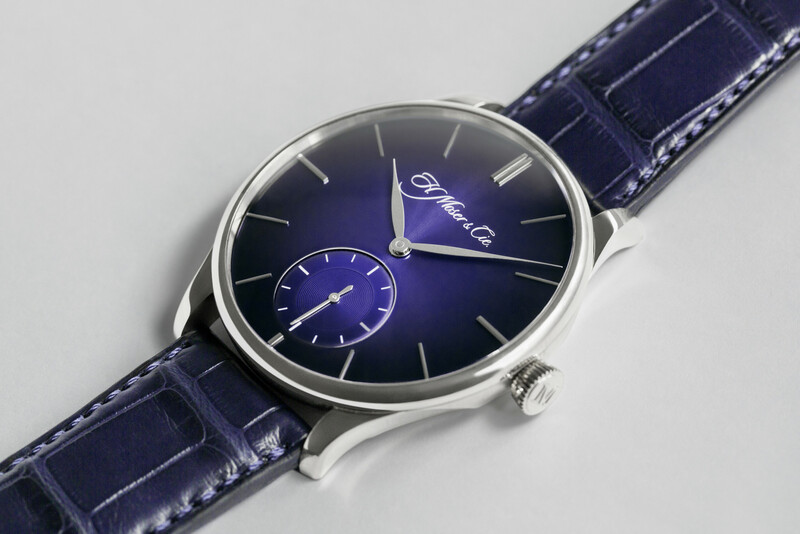 It will be integrated for the first time in a special edition, the Venturer Small Seconds XL, in a limited edition of 10 pieces. 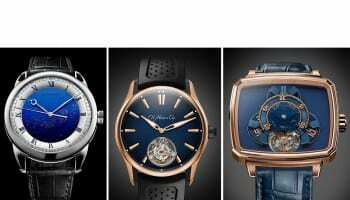 Moser Owners may acquire these watches and take part in a series of tests to confirm the chronometric performance of this escapement of the future. An alloy of niobium and titanium, PE5000 has desirable characteristics for the regulating organs of mechanical watches. As a paramagnetic material, it is extremely resilient and has such elastic properties that a hairspring made from this alloy is not affected by impacts, Precision Engineering claims. PE5000 is an alternative to silicon, which is also non-magnetic and shock resistant, with the disadvantage of not allowing any adjustments. Niobium-titanium, in contrast, can be adjusted by the watchmaker to optimise the watch’s performance if necessary. 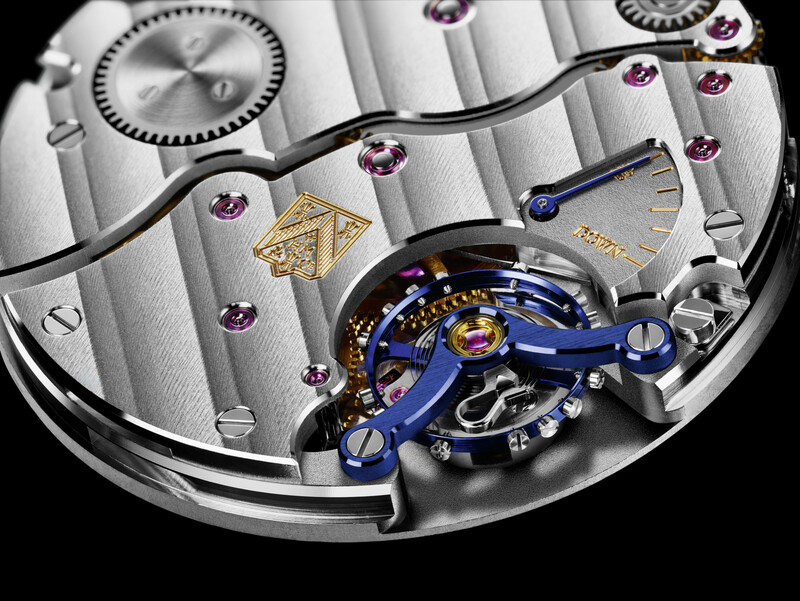 Precision Engineering joins the few manufacturers capable of producing paramagnetic escapements, a major advantage in the Swiss watch industry. 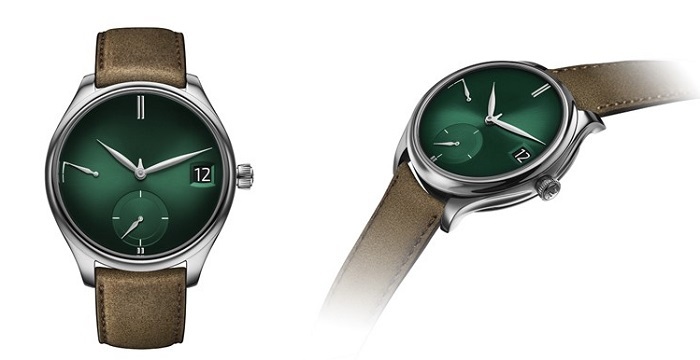 The 10 Venturer Small Seconds XL watches produced by H. Moser & Cie using the new paramagnetic hairspring, will also include a new a deep blue fume watch face. 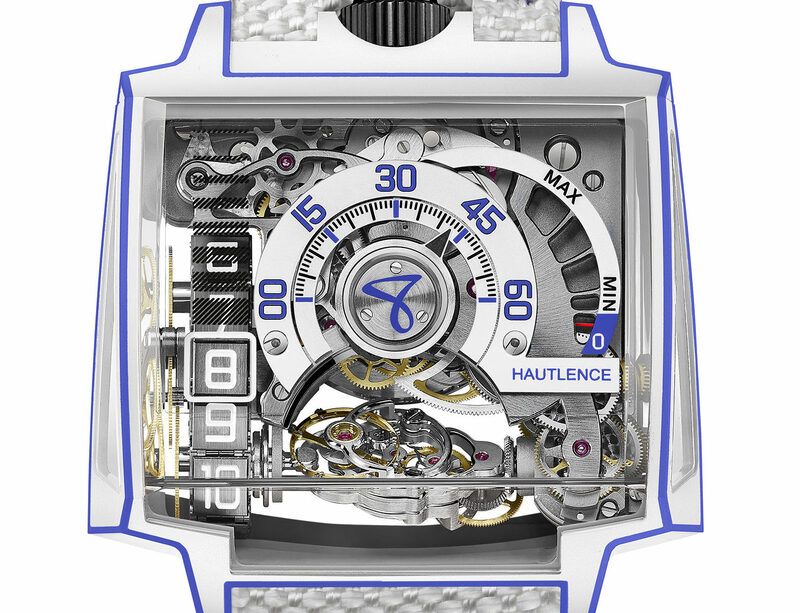 The piece, offering hour, minute and small seconds, will be presented in an 18ct whihte gold 43mm case. 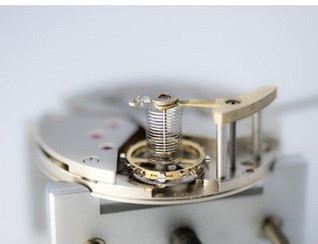 Precision Engineering AG brings back 18th century invention in presentation of its first cylindrical hairspring.